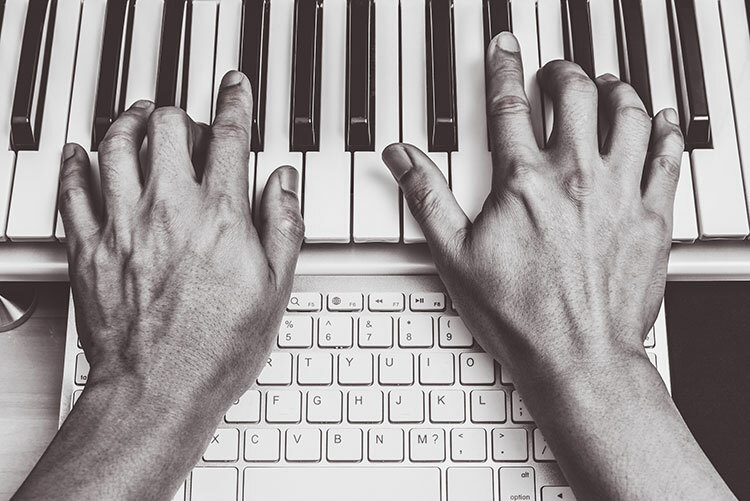 I recently had the opportunity to discuss digital estate planning with a group of music industry composers, orchestrators, musicians, and producers known as the "Composers' Breakfast Club" in Malibu, California. Leonard Bernstein and the fate of his autobiography served as a cautionary tale about protecting valuable digital assets. Two years before his death, Leonard Bernstein began an autobiography which spanned his fifty years as a world-renowned composer, orchestrator, conductor, and musician. Bernstein welcomed new technologies to spread his joy of music. Starting in 1954 and continuing until his death in 1990, he shared insights into classical music through a series of television lectures. When Bernstein died in 1990 he left a New York City warehouse filled with original scores, written pages, personal correspondence, datebooks, schoolwork, photographs, audio and video recordings, clothing, and mementos from his extensive travels. Today, most of these valuable assets would be replaced by digital files on a variety of storage devices. Bernstein chose a personal computer to replace pencil and paper for his much-anticipated memoir in 1988. The fate of his “Blue Ink” autobiography is a cautionary tale for the digital age where the lack of advanced planning can result in the loss of valuable digital assets. More on that later. If Bernstein’s career spanned the digital age, what could he do to ensure the survival of his autobiography and digital asset archive for future generations? More generally, what should today’s music industry professional do to protect their digital estate? In 1988, Bernstein couldn’t have understood the implications of relying upon a personal computer and floppy disks to store his autobiography. The birth of the Internet was a year away. The 1980s predated digital photos and video, digital music, personal documents, personal blogs, and websites. A decade would pass before the emergence of online accounts for finance, social networking, photo and video sharing, and loyalty rewards. Shift Bernstein’s career thirty years into the future and he would have an extensive professional digital footprint on several high-end desktop computers, a laptop for travel, and an assortment of internal and external disk drives. He would have a local digital archive to store and preserve a lifetime of scores, arrangements, orchestrations, recordings, MIDI files, contracts, copyrights, and financial reports (royalties, sales, distribution) on a mix of digital media spanning several generations of digital storage technology. There would be boxes of floppy drives, hard disks, solid-state drives, thumb drives, optical disks (CD/DVD/Blu-ray), and multi-track digital tape. Remote online storage would hold a copy of local digital assets. “Lenny” would have a personal blog and certainly a Leonard Bernstein website with an online store to sell books, CDs, DVDs, and scores. His extemporaneous thoughts about music and life would stream across his Twitter feed (@LennyBernstein). Whether you’re a world-renowned or aspiring composer, review the devices, applications, and online services you use to understand the challenges an estate executor will face locating and protecting the assets in your digital estate. How many different devices do you use? How will someone locate and gain access to each device? Do your apps store data on a remote computer, commonly referred to as “the cloud?” Do you have an online presence that promotes your career and sells merchandise? How will your estate executor locate your usernames, passwords, and encryption keys? Do you use online storage offered by companies such as Dropbox, Box, Google Drive, and OneDrive? Perhaps you have a blog with significant future value to your estate? Use an online digital estate assessment to help identify assets that are easily overlooked. Even though Bernstein started his memoir before the birth of the public Internet, two 1986 federal digital asset laws were already in effect. Thirty years would pass before states enact laws governing how online accounts are handled upon a user’s death or incapacity. Recent digital asset laws provide users with a hierarchy of authorization options. An “online tool” trumps all. One notch down is a written authorization. If you do nothing, service providers rely upon their Terms of Service Agreement as guidance, likely prohibiting all third-party access and resulting in the loss of the account and its contents. An online tool lets you control which account digital assets are disclosed to a designated recipient. The benefits of an online tool include ease of use and the ability to name whomever you want to manage your online accounts. There are disadvantages, including lack of transparency to the estate executor and beneficiaries, unintentionally overriding directions in a will or other estate documents, inability of the provider to locate the designated individual, and the possibility the tool may be discontinued in the future. So far, only Google and Facebook have implemented an online tool. A written authorization is effective for all online accounts. Through a digital asset authorization, will, trust, power of attorney, or other written record, you can direct an online service provider to disclose your accounts’ contents to someone with the legal authority to oversee your estate. One added benefit to a digital asset authorization is the ability to provide direction without modifying an existing will or trust. Unlike an online tool, a written authorization can only authorize someone with the legal authority to manage your estate. Without a roadmap, an estate executor will be lost trying to locate and protect your important digital assets. A digital estate plan is an authoritative summary of your personal and professional digital assets. All key information should be covered including an inventory of your digital devices and storage, online accounts, passwords, and backups. An inventory of digital devices provides information about your desktop computers, laptops, smartphones, and storage devices including location, manufacturer, model, and serial number. These devices store digital files that represent your lifetime of work and are a valuable part of your digital legacy. Your estate executor should locate and protect these devices as quickly as possible upon your death or incapacity. An online account inventory provides information about each service you use and should include the account username, end-of-life settlement instructions, and notes describing the contents of the account. Password management is a mandatory part of your digital estate plan. If you don’t already use password management software, start today with a free download of LastPass or Dashlane. Your plan should include details about how and where you store password information, whether that’s a hand-written list or password management software. Neglect to document your use of encryption on individual files, folders/directories, or entire storage devices, and risk the complete loss of these digital assets. (Spoiler alert: Bernstein did not heed this advice!) Encryption information, including encryption/decryption keys is most easily tracked and stored using password management software. Backup all valuable digital assets to two additional devices so that three copies exist: the original digital asset, a copy on a separate storage device typically connected through a local area network, and a remote encrypted copy hosted by a cloud storage provider. Your digital estate plan should include a list of backup methods and locations for each desktop, laptop, tablet, and smartphone used personally and professionally. Creating your own digital estate plan can be intimidating and time consuming. Professional digital estate planning services simplify the process and create a comprehensive digital estate plan that covers all of your digital assets. What about the fate of Bernstein’s autobiography? Lenny apparently decided to encrypt the work-in-progress document or password protect his computer. In either case, his memoir has remained encrypted since his death in 1990. If Bernstein had assessed his digital estate and documented his passwords, his cryptically titled “Blue Ink” memoir might be an important and valuable part of his legacy, digital or otherwise.